Young entrepreneurs from the Gambia, Ghana, Mali, Rwanda and Zambia selected for pitching contest at ITC’s World Export Development Forum in Lusaka, Zambia. (Geneva-Lusaka) – Seven young African social entrepreneurs will take the centre-stage at this year’s World Export Development Forum (WEDF) to pitch their business ideas to a panel of judges with a chance of winning seed funding to develop or scale up their projects. 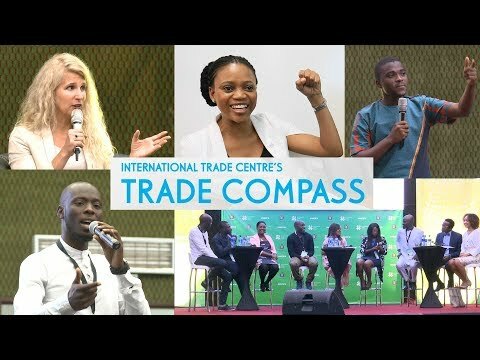 The seven finalists – from the Gambia, Ghana, Rwanda, Zambia, and Mali – were selected by the International Trade Centre (ITC) in collaboration with partners including Impact Hub Geneva’s Accelerate2030 programme and Nyamuka Zambia.China Global Television Network – Africa will profile the candidates throughout August. The seven shortlisted social entrepreneurs are Alan Chanda of Dytech, Zambia; Chisepo Chirwa of Out Source, Zambia; and; Diego Dieudonné Twahirwa of Gashora Farm Ltd, Rwanda; Omar Jallow of Green Hectares Farm, the Gambia; Victoria Muzumara of Shopzed, Zambia; Hamadoum Niangado of KoolFarmer, Mali; and Charles Ofori of Dext Technology, Ghana. The pitching contestants will have their business cases assessed by a panel of judges that includes Parminder Vir, Chief Executive Officer of the Tony Elemelu Foundation, and Michael Ocansey, founder of AgroCenta, a Ghanaian start-up that won the 2017 Young Social Entrepreneurs Competition. The 2018 World Export Development Forum – themed Scaling Up Through Trade: Skill, Innovate, Connect – is organized by the ITC in partnership with Zambia’s Ministry of Commerce, Trade and Industry and will be held in Lusaka on 11-12 September. A key component of WEDF will be highlighting the role of youth in Africa in supporting trade-led growth and entrepreneurship; as well as how young people can contribute to the implementation of the Continental Free Trade Agreement (CFTA). Alan Chanda represents Dytech, a Zambian agribusiness that produces, processes and packages honey, as well as other honey-based products such as bee wax and propolis. The products are sold in 150 selected shops and three major chain stores in Zambia, and to international buyers. The company uses an innovative honey-extracting methodology and equipment and secures its continuous supply from 2,500 rural out growers across of Zambia. Chisepo Chirwa represents Outsource Now, a Zambian start-up offering technology solutions to empower MSMEs and help them operate efficiently and profitably. Business owners can keep track of their records such as sales, profit, and inventory levels using Z'POS, a mobile app developed by the company. This information is valuable for business owners when making decisions to expand their activities and approaching financial service providers. Diego Dieudonné Twahirwa represents Gashora Farm Ltd, a Rwandan export-oriented company dedicated to the production and processing of chilli with key markets in India, Kenya, Hungary Switzerland, the United Kingdom and the United States. The company has contracts with more than 1,000 farmers. Gashora Farm tackles the issue of postharvest losses by producing chilli oil (Didi’s Chilli Oil) and is looking into further expanding its range of value-added products with chilli paste and chilli powder. Omar Jallow represents Green Hectares Farm, a Gambian company that produces fresh fruits and vegetables and supports smallholders with training, market linkages and loans to access inputs such as fertilizers and seeds. Growing up in Basori, a small farming village, Omar is committed to helping farmers earn a decent income. Green Hectares Farm aims to increase the yield and income of 200 smallholders and utilize a mobile platform to match their needs. Victoria Muzumara represents Shopzed, is a Zambian online grocery delivery service with over 400 registered clients around the world. Shopzed connects Zambian diaspora to the Zambian market and provides female farmers with a platform for their products. With a background in web and graphic design, Victoria wanted to create a convenient way for Zambians living abroad to shop for their families back in Zambia. Shopzed is further increasing its social footprint with distribution of foodstuff to orphaned youth on behalf of national and international sponsors. Hamadoum Niangado represents KoolFarmer, a Malian company that specializes in the ecological production of fruits and vegetables with an e-commerce service. The products provided by KoolFarmer are certified under ‘Green Bucket’, a standard label respecting the phytosanitary and environmental quality standards. KoolFarmer provides training and technology support to local farmers and employs local youth for product delivery. Charles Ofori represents Dext Technology, a Ghanaian social business that develops practical and experiential tools to scale up young people’s skills in science, technology, engineering and mathematics. The ‘Science Set’, one of Dext Technology’s innovations, is a user-friendly and affordable miniaturized science laboratory. It is a portable box with materials to perform science experiments by students. With over 2,000 Science Sets sold, Dext Technology enables teachers to teach more effectively through demonstration and practice.